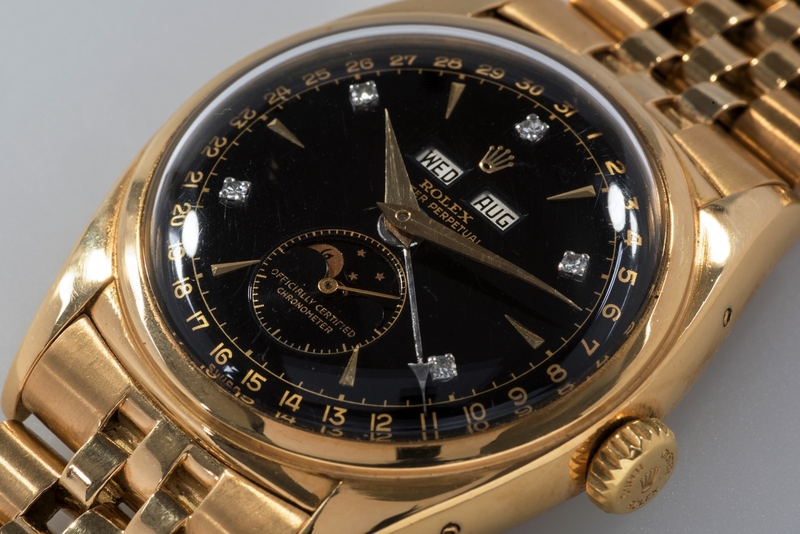 Next month – at the Geneva Watch Auction: Five – one watch is poised to break the all-time high Rolex auction record. The Bao Dai, otherwise known as reference 6062, has a presale estimate set by Phillips Auction house at $1.5 million. This Rolex triple display calendar with moonphase is one of only three yellow gold with black dial versions with diamond markers known to exist. Moreover, of the three, the Bao Dai, is the only example to feature diamond markers at the even hours. The provenance is, of course, further enhanced by having belonged to His Majesty Bao Dai, the last emperor of Vietnam. “Born Nguyễn Phúc Vĩnh Thụy, His Majesty Bao Dai was the 13th and last emperor of the Nguyễn Dynasty, and it was not until he ascended the throne in 1925 at age 12 that he was granted the title of Bao Dai – Keeper of Greatness. According to family tradition, Bao Dai himself purchased the watch in Geneva in 1954, when he attended the historic Geneva Conference seeking peace in Indochina following the Korean War,” according to Phillips. 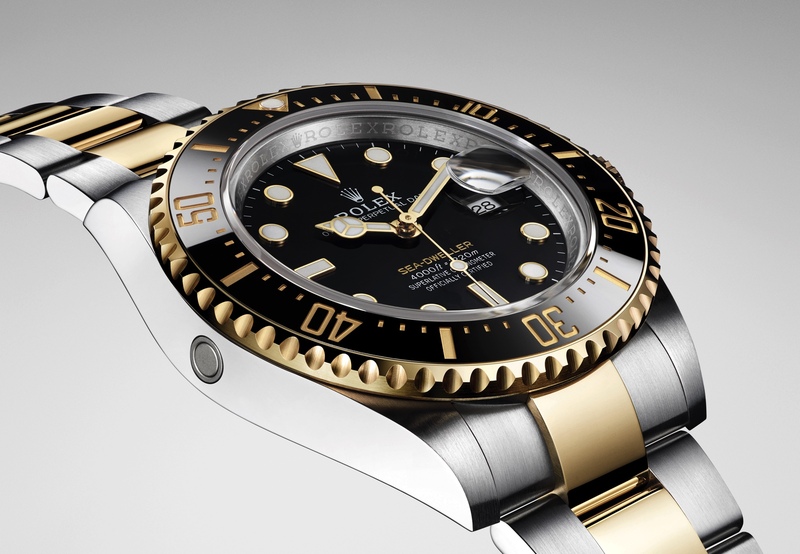 In addition to its imperial provenance, this is the most complicated Oyster-cased timepiece ever produced by Rolex. It features day, date, month, and moonphase functions. 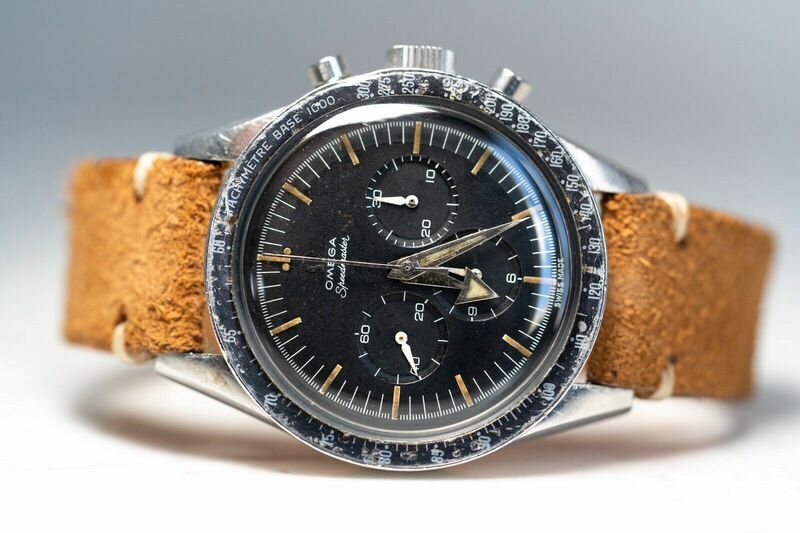 It is said to have first appeared on the market in 2002 when Phillips sold it at the time for a record-breaking price of 370,000 CHF, which at the time was the highest a Rolex had ever been sold for at auction. It comes as no surprise that Aurel Bacs, who was behind the record breaking sale of the Patek Philippe 1518 last year, sold the Bao Dai the first time, for a record price, and will likely do it again next month.